Warrior Arts & Fitness is a full time martial art academy based just outside East Grinstead in Forest Row on the East/West Sussex border. 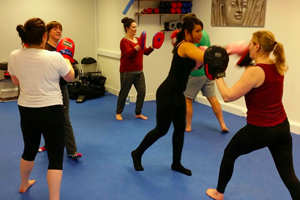 Whether you are looking to learn a martial art for self-defence; want to get fitter and healthier or need to de-stress and re-energise we have a class to suit you. We run a full time martial academy based in Forest Row, East Grinstead and have classes, personal training and seminars 7 days a week. Our Warrior Kids & Juniors classes focus on improving your child’s listening and motor skills within our fast paced and fun filled classes. We believe that improving our children’s motion and movement from the ground up, is key to empowering them to excel in any number of physical activities and sports. 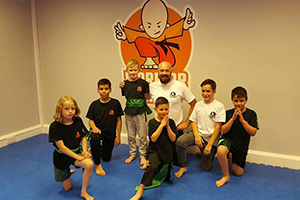 Our Warrior Kids love martial arts and parents love watching their kids learn and grow in a positive, well disciplined and encouraging environment. 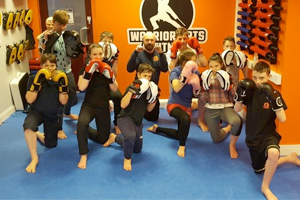 Our Warrior Teens focuses on fun boxing, kickboxing and ground fighting skills, drills, exercises and partner work. 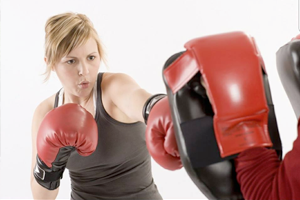 Our Warrior StrikeFit class is a fun, challenging but technical class teaching our own unique focus mitt drills and exercises to learn correct punching as well as developing power, hand/eye co-ordination, increased cardio and weight loss. Our unique Satria Yoga & Conditioning classes use the same 144 postures found in the Satria Martial Arts. These body weight holds, transitions and exercises will increase your strength, flexibility and flow as well as developing breath control to enable you to focus your mind and leave you re-energised and re-charged. Over the years we have run highly successful self-defence/martial arts for schools, collages and corporate organisations. New Warrior Arts and Fitness Studio – Open Now!